Want to see my G-string? Any luthiers or guitar experts out there? 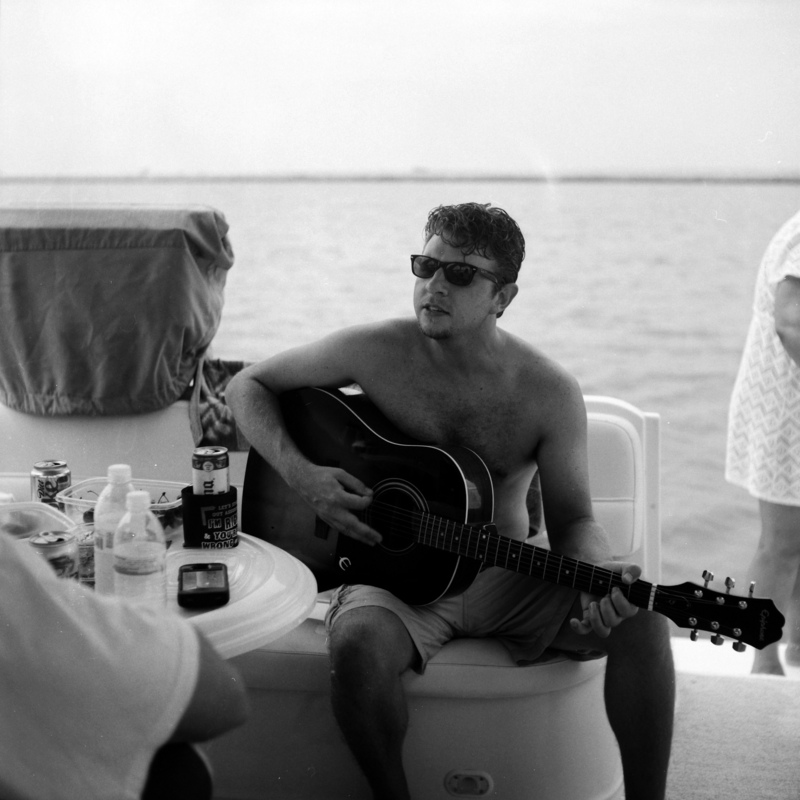 I always keep a cheap guitar on the boat. I want it to sound decent, but if worse comes to worst, I don’t want to feel bad if I have to use it as a paddle. 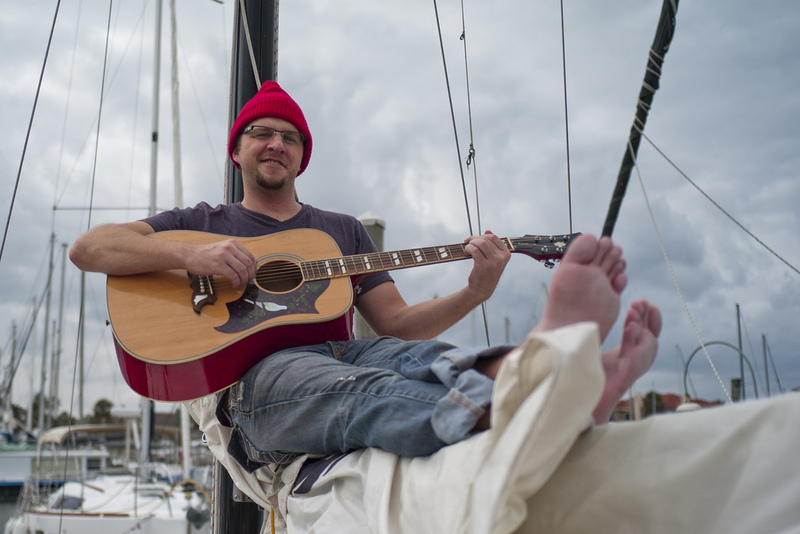 My first boat guitar was an Epiphone Dove with a cracked neck that I procured for $30. A little wood glue, and it was a nice player for about a year. Then the same spot on the neck broke again, so I stripped it for hardware and junked the body. My current guitar is an Epiphone AJ. It was a B stock guitar with a few blemishes that I picked up new for $89. For the past two years or so, it played and sounded great. Unfortunately it has suddenly started popping G-strings. The last two times I’ve played it the G string has broken at the saddle with less than two hours of use. Then tonight I swapped the strings again, and the G broke while I was just tuning it. I use Elixir strings, so they don’t rust out in a week on the boat, but they’re about $15 a set. When the guitar is worth less than $100, even $15 is a large investment, especially if the strings are now only lasting for an hour or two of play time. They were previously lasting for up to six months of weekend jams. My Gibson has a bone saddle, and I see lots of them available on eBay for anywhere from 99 cents to $20. But how do I know they’ll fit, and is a 99 cent bone saddle really any good? Should I search for a replacement nylon/plastic saddle? Should I gift this guitar to a starving artist and find another sub-$100 boat instrument? Right now I have a B string replacing the G string, so that there’s less tension, but it makes the tone a little funny. 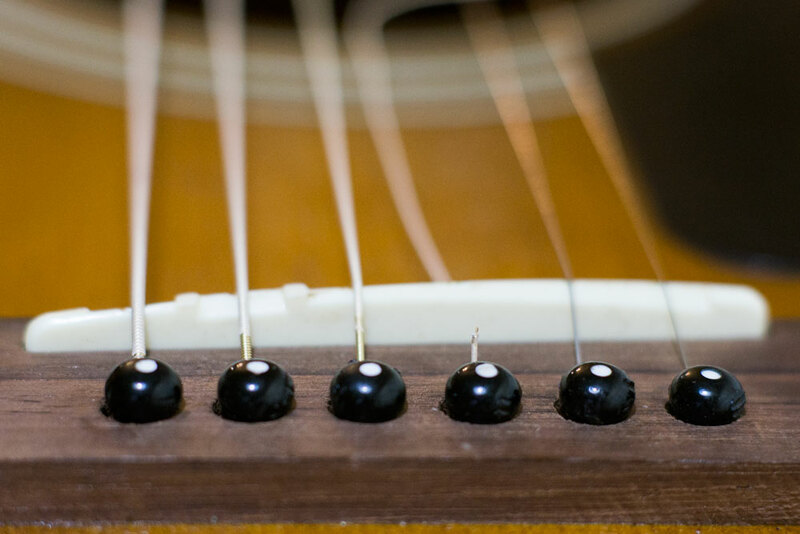 Using two B strings is definitely not a long-term solution. Come on guitar experts, I know you’re out there. What in the world is going on with my guitar and how do I fix it (cheaply)?